I started using Ubuntu back in 2007. At that time I was already starting to realize that Microsoft's OS was too slow, unreliable and too demanding. You know, all that anti virus scans, defragmentation, optimization, registry erros check up, were and ARE, even with Windows 7, too time consuming and frustrating. But, as many others, I had to rely on specific Microsoft Windows compatible software. But now, with emergence of webapps like Google Docs and the refinement of Ubuntu OS, it's alot easier to use Ubuntu exclusively. Unfortunately, I'm not yet on that point because I have some vocational tests software that are only compatible with Windows. But now, with Ubuntu 11.04 and the Unity desktop, the user experience reached a new level. A positive one. In terms of functionality, design and hardware requirements, Ubuntu rocks when compared to Windows 7 or Apple's OSX Lion. Yes, I truly think that it is alot better than its competitors! it's free, zero euros or dollars. Want to know more about Unity and Ubuntu 11.04? Visit Ubuntu's website of reference, the holy grail of Ubuntu fans, OMG!Ubuntu! Microsoft co-founder Paul Allen gives "60 Minutes" a tour of his estate, yacht, space rocket, and, yes - his very own submarine. Oh! the pure flavor of Google! This was something that I've been eagerly waiting for! I wanted to get the new Google blue bar (black bar in Gmail) and all I got was the old classic homepage and bar. You can also use http://www.google.com/ncr as your homepage. Works great! Android is not the only piece of software that you can talk to. Try talking to Google Translate in Chrome. It only works when translating words or phrases from English. All you need is a microphone. If you don't have Google Chrome, click here. It works great with the English language but not as well with Portuguese. To be more precise, Brazilian Portuguese. Portuguese isn't available yet for Voice Talk. It all started in 2011 and it never stopped. There are now 95 acquisitions listed. The first was Deja in February 12, 2001 and the last was TalkBin in April 26, 2011. Most of the acquisitions were made to use as a Google product or to integrated in one or several. Full list of acquisitions here. File management in Chrome OS has seen some improvements in the past weeks. As of this moment, it has, for example, a File Shelf and File Previews. Today I noticed something that I haven't seen before. All happened after saving picture from the web. So, after saving a picture to the File Shelf, I double clicked it in the notification panel and...a Slideshow screen showed up in a new tab! Uouu! This is new! At least for me! It seems that users will be able to use the Chrome Browser and the Slideshow tab to see their locally saved pictures (saved in a ssd hard disk and maybe in external drives as well). To try this Slideshow feature, all you have to do is type "chrome://slideshow". It doesn't work in Chrome, just in Chrome OS. I used Hexxeh's ChromiumOS Vanilla Nightly Builds of April 28. We will probably have more information on this and all the other features of Chrome OS in Google I/O 2011 on May 10-11. Decentralization is not created by passing a law. Rather it must be built by overcoming a series of challenges at the center and the periphery by, for example, changing long established behaviours and attitudes, developing new skills, convincing people in the center who enjoy exercising power to give it up, permitting and sometimes encouraging people to take creative risks, promoting and rewarding local initiatives, and maintaining continuity with the decentralization reform even as governments change. No, I know it looks like the author was writing about portuguese public education but no. It's just plain wisdom. Relative increase in activation during phonologic compared with orthographic coding in different brain regions in NI and DYS readers. Significant differences in brain activation patterns between DYS and NI readers were found. Those differences emerge during tasks that make progressive demands on phonologic analysis. These findings relate the cognitive/behavioral deficit characterizing DYS readers to anomalous activation patterns in both posterior and anterior brain regions. Felizmente e finalmente: temos um bom Governador do Banco de Portugal. Não é preciso dizer mais nada. Here's another positive review by Android Central. This device looks very promising! So, which one would you buy? A Chrome OS Notebook or the Asus Eee Pad Transformer? You got some thinking to do! 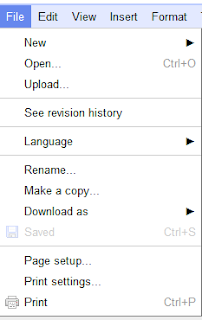 For those who like the Ubuntu font, you can now use it in Google Docs. More about the Ubuntu Font Family here. 7 second video that shows brian maturation through MRI measurements of children from age 4-21 years. The blue colors indicate greater maturity. From Geropsychology Central, website that has a huge and diversified set of resources on Geriatric Psychology. I stumbled upon a really intriguing and interesting article with the title Calming Technology from four Stanford University Researchers. Calming technologies are interactive systems that induce cognitive, physiological, or emotional states of calm. Calming attributes can be added to existing technologies or such system can be developed for this purpose only. O PM Sócrates e os seus acólitos podem dizer o que quiserem, que a crise internacional foi a maior dos últimos 80 anos (agora diz-se 100 anos..), que o chumbo do PEC IV é que levou o país para o abismo ou que tudo estaria a correr sobre rodas se não tivesse ocorrido essa malvada crise. Entre muitos esquecimentos, incluindo a péssima abordagem à crise internacional, Sócrates esquece-se da objectividade dos números. Resultados menos maus apenas na taxa de crescimento da produtividade laboral. 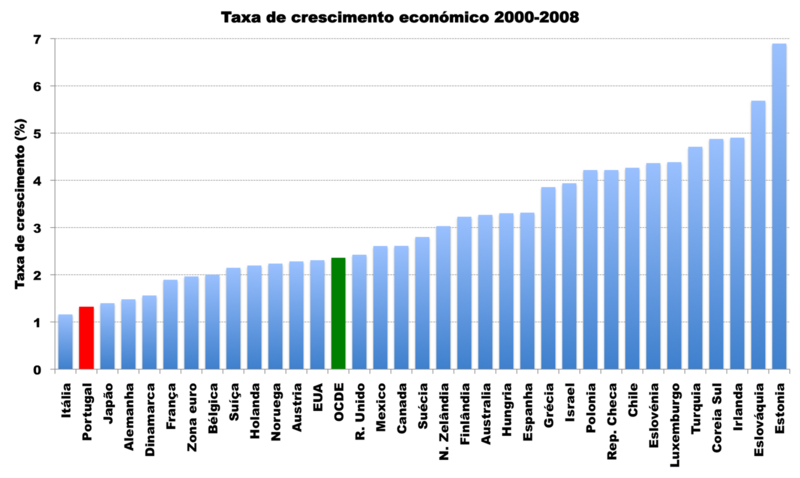 Repito, "taxa de crescimento". 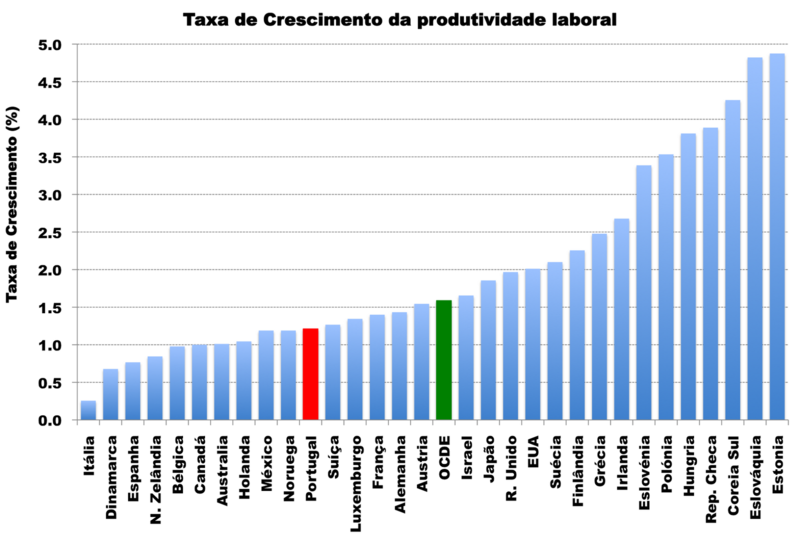 Não estamos a falar do valor absoluto da produtividade, i.e., da relação entre a produção e os factores de produção utilizados. Note that the screen for the biggest companies was done around four metrics; sales, profits, assets and market value. The market value calculation is as of March 11 closing prices, including all common shares outstanding. The position on the list is, therefore, the result of a combination of metrics. Steven Levy, respected journalist and author of "In the Plex," reveals fascinating untold stories about one of the most massively influential companies in history. Existence is the unique and unified event of being. 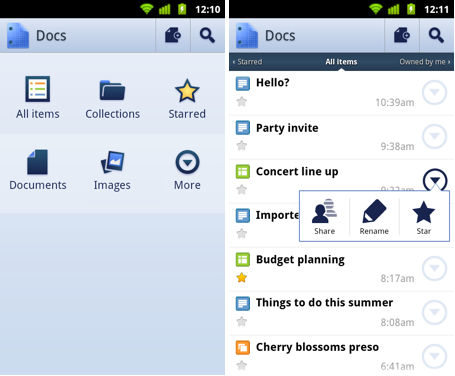 Several improvements were announced today regarding folder upload, documents list integration, and drag-and-drop upload. 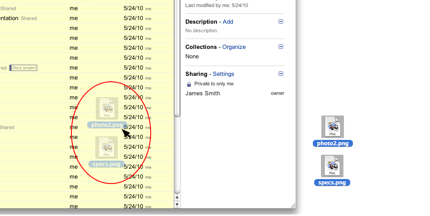 The existing folder structure is preserved on upload which means that folders within folders will also upload and become collections within collections. When you upload files via the new drop-down menu, a window will pop up in the bottom right of your documents list and show upload progress. 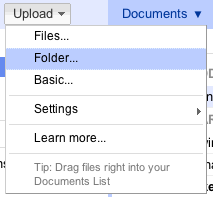 You’ll also be able to drag-and-drop one or more files directly into your documents list to initiate an upload. 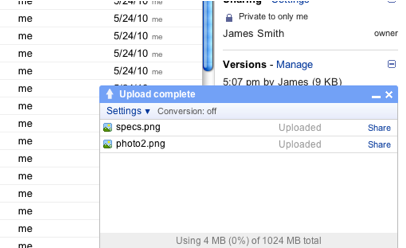 You can even drop files directly into a collection. This means that you can buy additional storage for Docs and not necessarily for the bundle Gmail, Picasa Web Albums, and Google Docs? That would be great but doesn't look so. The $0.25 per GB per year are part of the 20 GB for $5.00 per year or the 200 GB for $50.00 per year plans. All in all, these are good news for those that are now moving their office work to G Docs or thinking doing it. Google keeps preparing the ground for new users to join their cloud platform and providing a swift transition to Chrome OS. That's a pretty substantial difference in brain maturation! The Encyclopedia of Mental Disorders contains medical articles on mental disorders, conditions and chemical elements. Over 150 mental disorders are organized alphabetically. For those of you who don't know Mr. Stallman, whe's the Free Software Foundation Guru and Evangelist and founder of GNU. Radical to some, righteous activist to others. Being a controversial figure, he has always attracted heated discussions. This open letter is justified by that ride between the two extremes and the right point between them, where wisdom lives. I mostly agree with the points made on this letter. Yes, weird but true. Following my post on Where did Print Preview in Google Docs go?, I'm glad to report that it is back again! But wait! Only when using Firefox. Do you have an explanation for this, Google? Do you want me to rely only on Firefox? Anyone? 5- Still, no Print Preview in Chrome Beta. Dedicated to Mr Sócrates and other left wing portuguese party leaders. Get real! No seguimento deste post, eis a confirmação de como alguns (os Outros...) nos vêem lá fora. Não é preciso ser um génio para perceber que medidas aparentemente insignificantes (para o Governo) como a tolerância de ponto podem ter um impacto tremendo na imagem que os outros têm de Portugal. Vamos ser claros. No nosso dia a dia é muito fácil observarmos alguém e julgarmos que é preguiçoso, vive acima das suas possibilidades ou, por exemplo, quer trabalhar o menos possível. É muito fácil, portanto, criarmos uma primeira impressão negativa sobre um país mas mais relevante ainda é o conhecimento de que é muito fácil ficar com uma má impressão e extremamente difícil mudar essa consideração novamente para uma boa impressão. Está estudado. É básico. Portanto, seria assim tão difícil perceber que todas medidas tomadas pelo Governo, por mais insignificantes que sejam, neste contexto específico, sejam alvo de escrutínio intenso? Não será fácil perceber que Portugal está dependente do dinheiro dos outros e que isso deve impedir todos os comportamentos laxistas? E não venham cá com as tretas da soberania! Se a soberania é assim tão importante, então tivessem pensado nisso antes! Diipo connects you the teacher with your students by making it easy to communicate with your class. Diipo also connects you with other educators and your class with other classes. I just tried it and I found it to very complicated to use. I doubt that the students that I know would be motivated to use this platform. Nonetheless, if you are an educator you might want to give it a try. Yes, sugar. The University of California and Robert H. Lustig, MD, UCSF Professor of Pediatrics in the Division of Endocrinology, presents an educational documentary about the bitterness of sugar and "explores the damage caused by sugary foods. He argues that fructose (too much) and fiber (not enough) appear to be cornerstones of the obesity epidemic through their effects on insulin". High levels of sugar in the blood are a cause of several diseases like Diabetes, a pandemic illness of the 21st century. Just for you to get a picture of how common it is in the population, the American Diabetes Association states that 8.3% of population of US has diabetes. That's a staggering number! Gary Taubes, a Robert Wood Johnson Foundation independent investigator in health policy and the author of “Why We Get Fat”, who the article "Is Sugar Toxic?" on the NYTimes, shares the same worries of Mr Lusting if not the same conclusion. It's a long read but it's worthwhile. E o inefável Ministro da Presidência critica Passos Coelho por este ter criticado a tolerância de ponto, acusando-o de oportunismo político. Mas está tudo doido? O que é isto? E as sondagens ainda indicam uma tendência de subida do PS? Quem são os dementes que não percebem? Quem é que precisa de um desenho? Rapportive integrates your Gmail (or Google Apps mail) account with social network profiles to give you valuable context about the people you’re communicating with. 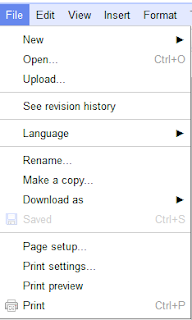 Where did Print Preview in Google Docs go? According to Google's Community Manager @Google Docs Teresa Wu, "it's still there, just go straight to Print!". Hum...Where? She says "preview should be an option in your computer's native print window that pops up"...Still...What pop up? I don't get that! Curiously, if I click Print nothing happens and if a choose Print Settings without including page numbers, nothing happens either; BUT if you choose to include page numbers, THEN a new tab will open the document's Print Preview. Confused? But wait, there's more! 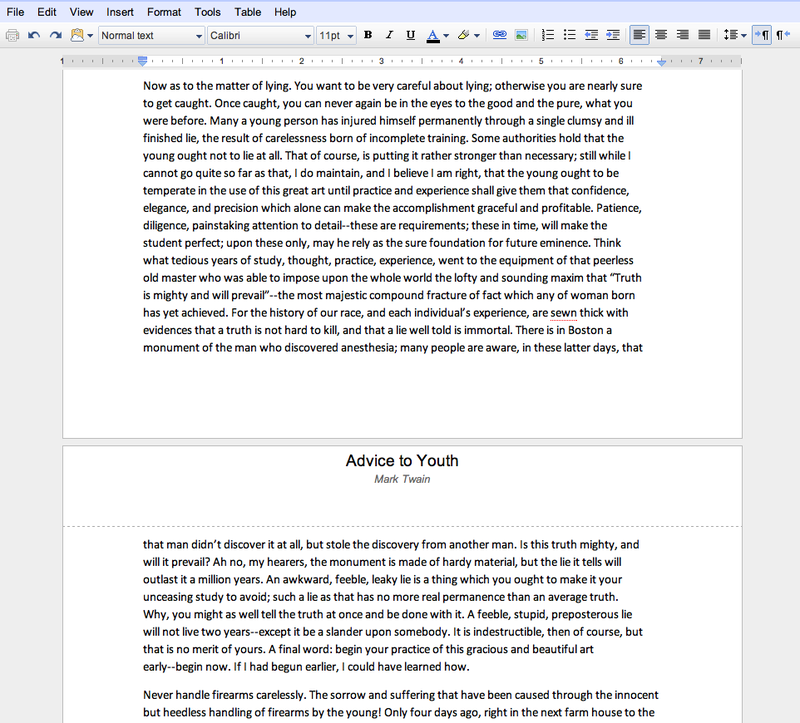 For a newbie, how intuitive is to Print a pdf file without having any option to do it? It isn't! You will have to right click your document and select "Print". 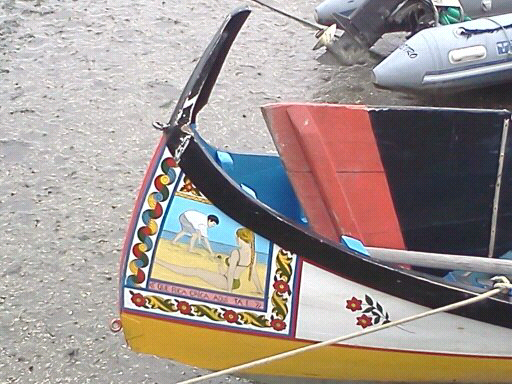 Eis um bom exemplo da criatividade dos pescadores da Torreira. Gail Tverberg on why you should be very worried about peak oil and related decline in oil supply. To all of you that don't know what's a Chrome Notebook and which are differences compared with regular Windows and Mac computers, here's a very simple, intuitive and well designed presentation of the upcoming Chrome Notebook. Google plans to make the notebooks available for $10-$20 a month per user, and will provide hardware refreshes as they are released as part of the package, and will replace faulty hardware for the life of the subscription. On top of this, Google will make the devices available for a one time payment as a normal retailer would, but is likely to not distribute the devices directly. Instead, the company will distribute them in a fashion similar to the way Android is distributed. I'm curious about the details around this allegedly distribution model or "ecosystem" around Chrome notebooks. A Pordata lançou hoje o ebook “Retrato de Portugal”, que faculta cerca de 130 indicadores sobre o país. Purchase 1 year subscription of Grooveshark Anywhere for 20$ and all the proceeds will go to help Japan. Do you want to help Japan? Buy some songs! O seguinte texto de Luís Osório é um bom exemplo de que a realidade que nos dão em paletes através da comunicação social é uma mera colecção de artefactos. "Fernando Nobre jantou em casa de Mário Soares com José Sócrates; e este disse-lhe que metade dos seus ministros tinham votado nele. Fernando Nobre aceitou ser cabeça de lista do PSD por Lisboa. Passos Coelho, por telefone, três dias antes do anúncio público, fez-lhe o convite e lançou-lhe o desafio de ser presidente da Assembleia da República. Esta era a novidade em relação a todas as conversas anteriores: «O senhor, depois das presidenciais, tem o desafio de contribuir para o país. Estamos a um passo do precipício e Portugal precisa de pessoas independentes. O PSD oferece-lhe o segundo lugar na hierarquia do Estado e não lhe pedirá nada em troca quando lá chegar». O presidente da AMI, na fronteira entre o Sri Lanka e a Índia, vacilou e pediu para pensar. Passos Coelho concordou, desde que a resposta não se prolongasse para além do passado sábado. E assim foi. Muito poucos sabiam, mas mesmo assim houve fugas de informação. Dois jornalistas, um do I e outro do Diário de Notícias, telefonaram-me para confirmar a notícia de que Nobre fora convidado para ser cabeça de lista por Lisboa. Sobre a presidência da Assembleia da República nada me perguntaram. Disse-lhes que nada sabia sobre listas. Para juntar ao processo, proponho algumas notas desapaixonadas de quem, sendo muito amigo de Fernando Nobre - e tendo tido uma participação activa na campanha presidencial - nada teve que ver com este processo de decisão. Tanto o PSD como o PS lhe fizeram convites e tentaram o seu apoio. Mas há duas diferenças essenciais que fizeram Nobre escutar o líder social-democrata e menosprezar o que lhe foram dizendo do lado socialista: por um lado, o seu convencimento de que o ciclo socialista chegou ao fim e é o responsável por um ambiente irrespirável; por outro lado, o facto de o PS apenas se ter aproximado de si depois dos 14% que obteve nas eleições. Pedro Passos Coelho, amigo de Artur Pereira (director de campanha de Nobre) e admirador do percurso e da mensagem de cidadania do médico, procurou várias vezes escutar a sua opinião. Ao contrário de muitos, nunca procurou menosprezar ou desvalorizar a sua candidatura, mesmo quando as sondagens lhe davam 3 e 4 por cento. A política também se faz disto - e Nobre nunca poderia aceitar o convite de um partido que considera esgotado e que só mostrou consideração por si depois dos 600 mil votos conseguidos em Janeiro. Já é público o jantar de Fernando Nobre com Sócrates em casa de Mário Soares. Aconteceu mesmo, é verdade. Nesse jantar, o primeiro-ministro não lhe fez qualquer convite formal: apenas mostrou surpresa pelo resultado e confessou-lhe que metade dos seus ministros votara nele. Já Soares aconselhou calma e silêncio: não era tempo para gastar palavras que se esfumavam na fogueira mediática. Apesar destes contactos, Fernando Nobre está magoado com Mário Soares. Acredito que não tenha razão para essa mágoa - mas, neste processo, Nobre nunca escondeu a sua irritação pelas constantes associações da sua candidatura ao desejo de vingança de Soares perante Alegre. E, quando tentou associar o proveito à fama, solicitando a Soares o seu apoio formal (ou a sua influência para chegar a possíveis financiadores da campanha), o ex-Presidente da República pediu-lhe sempre para esperar. Quanto ao dinheiro, facilitou de facto contactos - que, no final, garantiram à candidatura uma soma irrisória. As duas pessoas que mais influência tiveram no avanço de Fernando Nobre - ou, pelo menos, que detonaram uma série de reuniões marcadas pelo fundador da AMI - foram Miguel Sousa Tavares e Rui Moreira. Os dois, amigos próximos, desafiaram Nobre para ser candidato à Presidência da República e disponibilizaram-se totalmente para o apoiar no que fosse preciso. Miguel era visita de casa de Fernando Nobre - e na apresentação da sua candidatura, no Padrão dos Descobrimentos, teve o exclusivo da primeira entrevista para a SIC. Esse é o facto e a origem da candidatura. Grande parte da animosidade do agora candidato putativo a presidente da Assembleia da República tem a ver com as promessas que lhe foram sendo feitas. Ao apresentar-se como candidato, vários foram os que apareceram à direita e à esquerda. Que os financiamentos eram simples, que ele não tinha de se preocupar - enfim, o habitual. Mas, quando começou a deixar de ter espaço na comunicação social e as sondagens desceram dos cinco por cento, banqueiros, empresários, gestores, políticos e amigos deixaram de atender os telefones. Nobre ficou sozinho. Deu a casa e tudo o resto como aval: um mau resultado equivaleria ao pagamento de dívidas durante o resto da vida. Só uma pessoa nunca deixou de lhe atender o telefone. Alguém que, sendo banqueiro, lhe confessou que isso era o mínimo que poderia fazer por alguém com o seu percurso de vida. Sem ele, a campanha não teria ido até ao fim; e, se fosse, o resultado teria sido provavelmente catastrófico. Deixo-lhe o desafio de adivinhar o seu nome. O que quero dizer com isto? Que estou a tomar partido e a fazer a defesa de Fernando Nobre? Não, em nenhum momento o fiz nesta crónica. Algumas pessoas terão razões para se sentirem despeitadas ou mesmo abandonadas pelo presidente da AMI? Acho que sim. Julgo que o processo não foi bem gerido e certamente alguma coisa terá de ser feita para explicar a alguns dos que o apoiaram o porquê de ter aceite o convite de Passos Coelho. E acredito que isso vai acontecer. Da mesma maneira que muito do que acontecer no futuro - como muita da importância ou da irrelevância política de Nobre - será jogado na sua primeira intervenção depois de regressar do Sri Lanka. Terá de ser claro quanto aos seus objectivos, quanto à sua independência, quanto às suas ambições - e, também, quanto à classe política que, na sombra, mostra os dentes e prepara uma vingança fria contra um homem que a colocou em cheque. Fernando pode ajudar a mudar a história e levar a cidadania a uma representatividade que nunca teve (e isso seria histórico para a nossa democracia) ou matar as ilusões das pessoas durante décadas. Está na sua mão. Mas à sua frente há um mundo de sombras onde a luz se assemelha a um oásis". Like Harvard University says in its website, "distance education courses are available to meet a wide range of needs, whether you are taking courses for enrichment or you would like to apply the credits toward a degree". Enjoy! This is good stuff! We all know Google. Their services are ubiquitous and for the most part really awesome. But there's more than Google in search. DuckDuckGo and Wolfram Alpha are search engines, just like Google. DuckDuckGo (DDG) is a search engine based in Valley Forge, Pennsylvania that uses information from crowd-sourced sites with the aim of augmenting traditional results and improving relevance. 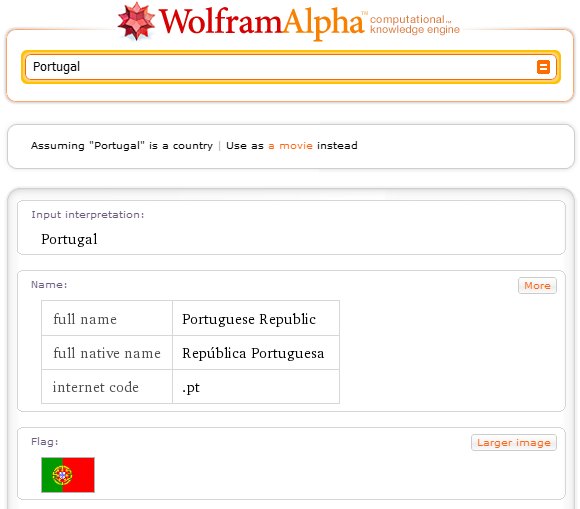 Wolfram Alpha (WA) is an answer engine developed by Wolfram Research. DDG is more like Google than WA. You will feel more familiarity with DDG than with WA and that's because they have two distinct purposes, being WA more focused on the encyclopedia search style, if I can put it this way. Let's not say more. Search and find for yourself but first take a look at this example. If Portugal was an american state, it would be like Kentucky, with an economy of 177 billion; Ireland, for example, has the same GDP as Nevada. Here's the list of all the links of startups referred in the trailer of The Startup Kids. But there's A LOT MORE on their website! Know more about the interviews in Europe and in the US. It's debatable but it sheds some light into the difficulties of nurturing a company like Google. Existe demasiada mentira e manipulação, demasiada contra informação e omissão. Muitos portugueses têm dificuldade em perceber o que de facto se está a passar, perdendo-se, por isso, na malha clubística do apoio aos partidos. Nesse sentido, julgo que seria extremamente IMPORTANTE que alguém em Portugal fizesse um Reality Check sobre o que será dito nos debates televisivos. Poderão seguir o exemplo da CBC, que está a fazê-lo nas eleições canadianas. A Fundação Francisco Manuel dos Santos criou um e-book muito apelativo sobre a revisão da Constituição Portuguesa, por ocasião do 35º aniversário da sua criação. Contudo, não é só o seu formato que é apelativo; é também porque inclui diversos comentários muito interessantes, tendo contributos de Luís Campos e Cunha, Pedro Magalhães, entre outros. Este é o documento que sustenta formalmente a democracia Portuguesa. Tenho a firme crença que ainda se voltará a falar muito sobre este documento na campanha eleitoral. Não pelas melhores razões, infelizmente. Mas deixemos esse assunto para outra altura. - embrace change; eat two meals a day; work as long as you can; help others, and don't fear death "because you're born to die". The Death and Burial of McDonald Clarke. Or wept when the poet was buried. No bosom with anguish was burning. With cold charity's shroud wrapt 'round him. Nor of sympathy pardon'd his madness. Of the vileness of those who prais'd him. Unkindness and cruelty made him. Ye refused him a crumb and a pillow. He's in Heaven, encircled with glory. Venham a mim os exaustos, os pobres, as massas desorientadas, ansiando por respirar liberdade. Esta frase está gravada na base da estátua. Opinion goes in waves. People surf them without even thinking about it. Don't know what I'm talking about? It's simple. Major companies like Microsoft and Mozilla have already included in their browsers the ability for users to tell websites not to track them. Apple is doing that in their next browser. Are you aware that mobile carriers know exactly where you are if you have your mobile device connected to the network? Are you aware of the video vigilance cameras on the streets, malls, stadiums? Do you care? Have you ever had any harmful consequences of that exposure? Aren't there ways to keep your browsing history, cookies, etc, clean? Let's not go paranoid about this! Pacheco Pereira: infectado com Socrantira? Estava eu a pensar em algumas dos sintomas das Perturbações Psicóticas, quando me lembrei do seguinte caso de estudo. Pacheco Pereira, deputado do PSD, a 14 de Abril disse a seguinte frase no programa A Quadratura do Círculo, da SicN: "Recebi um SMS e receberam os outros deputados a dizer: estejam calados até logo à noite para não prejudicar as negociações do Governo, coisa que, aliás, nunca me tinha acontecido." No entanto, o SMS enviado pela direcção do Grupo Parlamentar do PSD a 11 de Março dizia o seguinte: "A Direcção do Grupo Parlamentar solicita aos senhores deputados que aguardem pelo final da reunião dos chefes de Governo da zona Euro para comentar as respectivas conclusões, a situação financeira do país e as novas medidas de austeridade anunciadas pelo governo." A Socrantira é uma doença bastante conhecida em Portugal e tem vários sintomas facilmente identificáveis. Um deles é tecnicamente descrito como mentira descarada. Sócrates disse que não governava com o FEEF/FMI e agora apresenta-se como candidato a Primeiro Ministro; aliás, disse que seria uma perda de dignidade pedir-lhes ajuda. Portanto, eu compreendo o Pacheco Pereira. Estando infectado com a doença, é muito difícil articular pensamentos inteligíveis e que decorrem de factos da realidade não delirante. Compreensão, é o que vos peço. O senhor Pereira está a passar um mau bocado. I'm sure that management at Google is not focused only on these 10 management principles but they show the fundamentals of running a great company like Google. I would dare to say that these are some of the key principles that every company should follow to be successful. The tech nerds at Make Use Of made available some interesting free guides. And there are many! From the Ultimate Guide to Gmail to The Underground Guide to the iphone, there's a lot to choose from. All you need to do to get these free guides is to be a friend of Make Use Of on Facebook. Yes, that's it! If you haven't noticed, I've been trying several templates on this blog. Unfortunately, I can't find a template that I really like. I need to learn more about template tweaking. YouTube Live wants to be your whole in one broadcasting channel. It's still incipient but lets hope that Google can join efforts with broadcasters all over the world in order to present all kinds of live programs. Do you wanna feel the gravity on your screen? De acordo com a análise feita pelo Álvaro Santos Pereira, a tal redução do número de funcionários públicos é mais um exemplo de contabilidade criativa. Vejamos as seguintes passagens do artigo do autor para perceber melhor o que estará a acontecer. Os trabalhadores da Administração Central não incluem nem os trabalhadores do Sector Empresarial do Estado (SEE), nem aqueles(as) trabalhadores(as) que transitaram para as autarquias locais ao abrigo de protocolos com o próprio Estado. ..a transformação dos hospitais públicos em hospitais-empresas levou a que o número de trabalhadores do SEE aumentasse de cerca de 96 mil em 2005 para mais de 150 mil em 2009. Obviamente, esta subida do número de trabalhadores do SEE foi compensada por uma redução equivalente (eu diria até "inédita") do número de funcionários públicos. 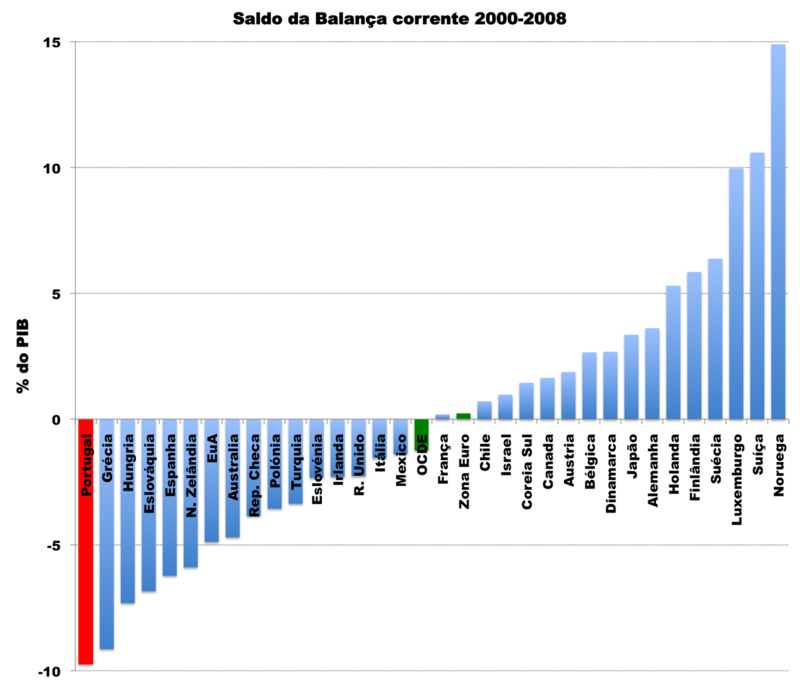 O Banco de Portugal também já analisou o assunto e concluiu que mais de dois terços da extraodinária redução das despesas com o pessoal de 1,9% do PIB entre 2004 e 2008 se ficou a dever à transformação dos hospitais públicos em entidades do SEE. ...entre o terceiro trimestre de 2009 e o trimestre homólogo em 2010, o SEE absorveu 5000 novos trabalhadores devido à transformações em empresas públicas do Centro Hospitalar do Barreiro e do Montijo, do Hospital do Litoral Alentejano e da ULS Castelo Branco. Restam assim 12000 trabalhadores. Muitos(as) certamente aposentaram-se, mas outros poderão ter simplesmente ter feito a transição para a alçada das outras administrações do Estado. Mais uma vez, e se não for inconveniente para os senhores políticos, será que me poderiam contar a VERDADE toda? Ou vão ficar muito agastados se eu disser como o Passos Coelho que os esqueletos têm que sair dos armários? Portugal could learn a lesson or two from coach Hurley. The bottom line is that if you want to succeed, you'll have to work very hard and assume your responsibilities! But that's not enough. You'll need to have a system that works, that supports your efforts and validates your accomplishments. Enjoy this video of the revision branches of Unity in just 30 seconds. Amazing! Não bastava escrever livros nojentos, agora resolveu colocar ainda mais alguma nojeira naquilo que faz. Colocar a foto da família de Passos Coelho num texto crítico é de uma tal falta de carácter que só dá vontade de chamar coisas feias a este senhor. As citações do JPP fazem sentido. Ambos parecem viver num difuso mundo paranóico. Intelligibility is a precondition of truth. If you cannot tell whether a string of words says anything, you cannot tell whether it says anything true. 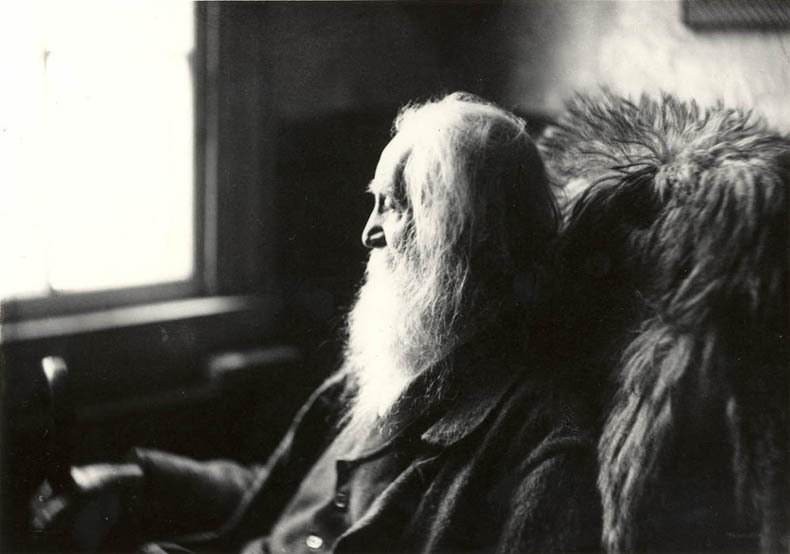 If you love poetry, check the Poetry Foundation website. What’s good, and doth no good. Toda a gente fala da abertura da política à sociedade, seja lá isso o que for. Eu diria que talvez fosse importante que a política se abrisse à política e que a sociedade se abrisse à sociedade. Ambas parecem estar com grande prisão de ventre. Talvez todos os hipócritas que gostam da cidadania de uma forma estranha percebam o que a Constituição da República Portuguesa refere se for transcrito em inglês. É que em Português parece estar a ser difícil fazer sentido dos motivos que justificam a crítica. Poderão criticar o Fernando Nobre pela campanha que realizou na candidatura à Presidência da República. Também não gostei. Muito menos gostei daquela expressão completamente exagerada do "só me tiram daqui com um tiro na cabeça". Foi muito infeliz. Mas porra, o homem é mais do que aquilo! Já fez muito pelo País e merece algum respeito pelo trabalho que desenvolveu ao longo da sua vida. É um orgulho para Portugal ter uma instituição como a AMI. Já lá fiz voluntariado. Sim, sem ganhar um tostão. Terei praticado a "cidadania"? Quem sabe! Será melhor perguntar ao Vitalino Canas. De facto, todas as críticas e desilusões só demonstram que a escolha faz sentido, nem que não seja para agitar as consciências de muitos. Já todos sabemos que um homem bestial passa a ser uma besta muito facilmente. Talvez porque os homens são facilmente adorados e rapidamente queimados pelos seus próprios seguidores. Num Portugal estranho, o Primeiro Ministro demissionário é um patriota (nacionalista); o Fernando Nobre um traídor perante aqueles que votaram nele. Afinal, votaram nele ou em outra coisa qualquer que não sabem muito bem o que é? Votaram na utopia da ausência da política? Da quimera do independente que surgiria por cima do sistema político e lhe aspiraria as impurezas? O Manuel Alegre é o auto proclamado homem da cidadania que acha que o Fernando Nobre tem uma cidadania muito "flexível", esquecendo-se que já foi candidato contra e apoiado pelo PS. Exercício de cidadania. A identificação com programas e pessoas de vários partidos, em diferentes momentos históricos, parece ser uma condição para justificar uma quase patologia cívica. Em Portugal há cidadania de primeira e a cidadania de segunda. Todas as mentiras e incompetência dos governos são um exercício político digno e de cidadania de primeira; uma adesão ao projecto do PSD, neste momento e por parte do Fernando Nobre, é um acto de cidadania de segunda. Assim parece. Há várias coisas que o FEEF e o FMI não trarão e uma delas é uma maior consciência da liberdade e responsabilidade individuais, assim como do sentido de comunidade. Tenho pena mas esse caminho será longo e penoso. Abram alas para a Constituição Portuguesa. 1. Every citizen has the right to take part in political life and the direction of the country’s public affairs, either directly or via freely elected representatives. 1. Freedom of association includes the right to form or take part in political associations and parties and through them to work jointly and democratically towards the formation of the popular will and the organisation of political power. 2. No one may be simultaneously registered as a member of more than one political party, and no one may be deprived of the exercise of any right because he is or ceases to be registered as a member of any legally constituted party. ..mas tanta, tanta, tanta água que nem os seus cidadãos (excepto empresas) pagam pelo serviço! Sendo o sistema de saneamento e águas irlandês ainda completamente gratuito para os utilizadores não empresariais, é previsível que o corte seja feito em breve. Contudo, ainda não se verifica, de acordo com uma informação de um cidadão residente na Irlanda. O governo acredita que conseguirá recuperar mil milhões de € com esta alteração. É caso para dizer que ainda há muito por onde cortar na Irlanda! Taken from page 67 of the WEO by IMF. Portugal: 2010 data are preliminary. For 2011 and beyond, the IMF staﬀ incorporates all the approved ﬁscal measures (thus excluding the measures proposed in March 2011, which were rejected by Parliament). The ﬁscal numbers also incorporate the impact of the IMF staﬀ’s macroeconomic projections. 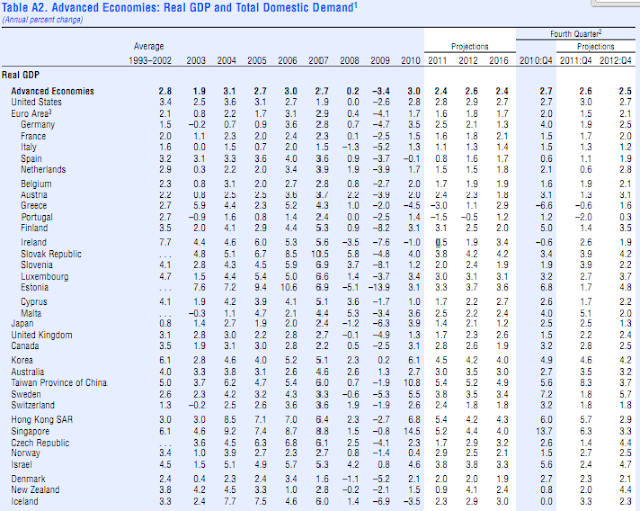 - Portugal is projected to have the LOWEST GROWTH with 1.2%, the same as Japan. 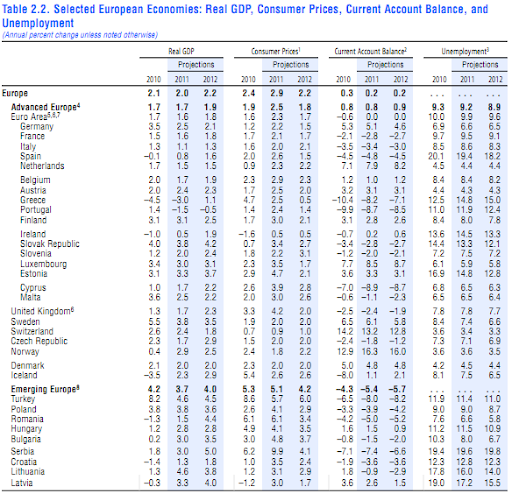 Compare with Greece's 2.9% and Ireland's 3.4%. Taken from page 182 of the same document. I have all lives, all effects, all causes, all germes, invisibly hidden in myself. The voices will never die. But it's not even an issue. Note the importance that Mr Wolf gave to the fact. He's interested, like everybody else, in the financial situation of Spain and the implications that a bailout of this country would have to Europe. No seguimento da abordagem feita aqui, surgiu-me a seguinte questão: será que ele sente culpa? Será que ele sente remorsos? Será que ele sente algum tipo de polifonia interna? Isto tudo porque não há ponta de saúde mental por onde se pegue quando se analisa a narrativa major: a realidade é aquilo que eu desejo, eu desejo muito, a realidade é a minha narrativa, a realidade sou eu. Tenho que confessar, não conseguimos ter um Primeiro Ministro que fosse inspirador, mas conseguimos ter um que foi e é destruidor e ao mesmo tempo gerador de análises muito interessantes. Se fosse apenas pela riqueza das análises que a identidade deste homem sugerem, gostaria que ele ficasse mais tempo. No entanto, o país não é uma clínica ou aula de Psicopatologia. Começo seriamente a inclinar-me para a possibilidade de haver outra explicação para a esta persistente e aglutinadora forma de ser. A criação de uma narrativa que engole todas as expressões de diversidade que lhe poderiam fazer frente ou integrá-la, leva a que toda a expressão identitária e, neste caso, pública, seja difícil de romper. Daí que não exista um mínimo de pudor em dizer coisas mutuamente exclusivas com igual convicção: o pendor criativo deste tipo de narrativa reduz toda a contradição no seu caminho e dá-lhe toda a coerência possível. Sócrates é, de facto, um grande problema para o país. Não que eu tenha alguma animosidade pessoal com o senhor. Provavelmente vive atormentado pela possibilidade de rejeição. Provavelmente procura ansiosamente toda a gente que o adore sem condições e repudia toda a gente que o poderá questionar. Sim, porque questionar as suas opiniões será questionar a sua essência e isso custar-lhe-á um esforço de integridade pessoal que essa narrativa não permite. A narrativa de Sócrates está enclausurada numa grande colmeia de afincados bajuladores. Por algum motivo chamaram-lhe menino de ouro do PS. Não, é um menino mas não de ouro. É um menino frágil na sua polifonia interna, robusto na sua resolução. Lá dentro, é um menino que procura o carinho de outros de forma bastante pérfida: manipulando as posições identitárias face à sua narrativa major. Como vítima e salvador provoca compreensão e respeito dos acólitos; como político destrói a harmonia de um povo. Caro leitor, atenção à navegação: o mapa não é o território. Há entre muitos Portugueses, eu incluído, um conflito interno difícil de sanar. Se por um lado gostaríamos sinceramente que Portugal fosse um país desenvolvido, ao nível dos desenvolvidos da Europa, por outro sentimos um travo adocicado e alguma satisfação por o FEEF/FMI poder intervir em Portugal. Isto é, apesar de querermos o melhor para o país, ficamos contentes com a imposição interna ou externa de medidas válidas (adequadas, consistentes e coerentes) mas duríssimas que se foquem nas causas do subdesenvolvimento e não nas consequências. Se aparentemente o argumento parece ser difícil, o seu conteúdo é muito mais interessante. 2- repudio totalmente a mentalidade portuguesa. Enquanto sociedade, somos apenas medíocres. Políticos, empresários, estudantes, responsáveis vários, comentadores, comunicação social, comunidades locais, famílias, cidadãos. Obviamente que não aprecio per se, por exemplo, que os salários das pessoas sejam reduzidos ou que os idosos se vejam privados daquilo que necessitam. No entanto, satisfaz-me que exista um esboço efectivo de libertação do país desta escória moral e inter-institucional que grassa tão copiosamente. E qual será a causa deste conflito difícil de superar? Muito simples. Em Portugal as pessoas falam todas de assumir as suas responsabilidades e de se portarem à altura das exigências que lhes são colocadas, o que é basicamente a mesma coisa. Preserva-se a tautologia para imprimir a mesma intensidade no roda do circo que nos move. Se este argumentário faz todo o sentido, a sua realização apenas se permite no status quo do lamaçal moral. Em Portugal joga-se bem no jogo errado. Ninguém assume com sinceridade tudo aquilo que quer para o país; ninguém tem uma visão, estratégia e medidas claras e honestas para os Portugueses; a maior parte da população é completamente ignorante, estando mais interessada na meteorologia dos dias seguintes, nas polémicas do futebol ou naquilo que o estado pode fazer por ela; nenhum político é capaz de congregar alguns pontos de consenso sobre a terra que é preciso mudar, focando-se antes na mudança do mapa da realidade. O povo é sábio na vida mas ignorante quanto ao seu presente e futuro e os seus líderes respondem com sonhos envenenados que acreditam ser o elixir para um povo sedento de vida. Em Portugal põe-se todos uns contra os outros. Aquele lugar na Câmara Municipal que é uma maravilha mas que se tornará numa cunha se for ocupado por um familiar do Presidente e não por um conhecido que nos coloque lá; o dinheiro escasseia e o (in)sucesso da sociedade não permite o que as pessoas anseiam. O que se faz? Pede-se aquilo que os nossos pais tiveram mas que não conseguimos criar com o nosso esforço colectivo. Em Portugal o chefe manda tudo e não inspira nada. É tratado por Engenheiro e Doutor mas desqualifica o seu subordinado hierárquico se tiver a mesma formação académica. Em Portugal os Engenheiros e Doutores criam uma cortina de fumo que lhes permite manter uma realidade alternativa, na qual só se pode entrar se o Dr ou Eng estiver no cartão de crédito. Dói viver em Portugal. Não apenas pelo estado de coisas, mas pelo estado das pessoas. Corrói viver em Portugal. Não pelo estado das pessoas, mas pela exasperante desesperança. Quero sair de Portugal para continuar a gostar de Portugal. Quero ir para poder manter o ébrio sentimento de pátria. Fica melhor se for embora. Acredite em mim. Li algures que Sócrates não aceitaria governar com FEEF/FMI, julgo que algures em NY quando foi comunicar na linguagem Bad English. Não estou certo mas julgo ter sido algo parecido. Bem, será que isso significava que agora é um ferveroso apoiante da governação com a ajuda externa? Se a rejeitasse liminarmente, como é possível que continua candidato às próximas eleições? Estará ele disponível para governar com as medidas gravosas que serão aplicadas? Para quem diz que não está grudado ao poder...Talvez seja super cola três colocada por marotice pelo Almeida Santos. Nunca se sabe! Os óculos que ele utiliza poderão disfarçar um ar de marotice que não é aparente. De qualquer das maneiras, já estou a preparar um cadeirão à lá Freud para poder ter o candidato José Sócrates a narrar relaxadamente a sua história. No fundo, tenho muita simpatia pelas dificuldades ou problemas, talvez seja mais adequada, que ele apresenta. As suas posições identitárias são particularmente interessantes, na medida em que há uma que come todas as pequenas irrupções de diversidade ao pequeno almoço. Acredito que poderei ter o Sócrates relaxado depois de fazer uma hipnose. Como não sei fazê-lo, talvez vá recorrer a um martelo pneumático. Mas não se preocupem, comprei um protector auricular para mim! Aquela porcaria faz um barulho do caneco! Para o Sócrates comprei uma bolha anti mudanças do mundo. Aquelas audiências internas, no âmbito da sua orquestra a duas notas e artistas, assim o exigem. Julgo que seria uma violência inarrável para o nosso Sócrates Jesus, ups, é Sócrates Sousa, passar por tal violência. Portanto, digo-lhe Sócrates, estou aqui para apoiá-lo na resolução dos seus traços psicóticos e mais concretamente em toda a parafernália delirante. Não se preocupe com o preço. Já sabe que eu faço tudo pelo meu país! Ah, mas não me poderá vender dívida pública que tem aí guardada no mealheiro! Isso não vale, seu maroto! Durma bem. Que lindo, parece um docinho a durmir...Coisa mais querida o Sócrateszinho! Espero que não acorde! Tenho medo que venha contar, mais uma vez, que o Cristovão Colombo lhe deve 5 centavos e que a Mona Lisa enganou-o com o preço dos medicamentos para a esquizofrenia. E eu não estou com paciência para aturar o Zézinho outra vez com a mesma história! Apre! Pictures taken in Furadouro, Ovar, Portugal.